A few months ago, I had the honor of addressing an international gathering of migration scholars and educators. A few minutes into my talk I clicked on to a picture of Wong Kim Ark. I was confident that someone in the room would know who he was, so I asked, thinking that a few hands would shoot up, “Does anyone know who this is?” I waited for a few seconds and got no response. “This is Wong Kim Ark,” I added, hopeful that his name would jar someone’s memory. Again, nothing. Maybe it shouldn’t be a surprise. I’d gone most of my adult life without knowing who he was either, but It is a problem. Let me explain why. We live in an age of mass migration. It seems that we cannot go 48 hours without a story about migration and immigration in the news. 258 million people are living in a country outside of where they were we born. Immigrants and the children of immigrants make up 26% of school-aged children in U.S. schools. While many communities welcome newcomers, reports document rising hate, hate crimes, and harassment targeting immigrants and those perceived to be immigrants. In this context, issues surrounding migration are among the most important civic affairs of our time. In fact, immigration is not just a controversial subject tied to current events. It is our past, present, and future. Scientific breakthroughs are highlighting the way that histories of migration are written into our genes. On a more intimate level, movement, forced or voluntary, within the continent, or across national borders, is intertwined into all, or almost all, of our family’s experiences. Reading census records from the founding of the nation through today leaves one with a profound understanding of the way that migrants have shaped our country. The responses of the rest of the population to migrants have shaped our nation as well. There are beautiful stories of welcome, maybe best captured in words of Emma Lazarus, whose words are now almost inseparable from the Statue of liberty. In The New Colossus, Lady Liberty implores the world to “Give me your tired, your poor, Your huddled masses yearning to breathe free.” Those few lines of verse have probably had a stronger impact on American identity and values than all but a few pieces of legislation or supreme court decisions. There are other stories as well. It is here that I want to return to Wong Kim Ark. Wong’s experiences reveal both the nativist backlash that has too often marked our history, as well as the possibilities and power of the rule of law and American democracy. Wong Kim Ark was born in San Francisco to Chinese immigrant parents in 1873, ten years before Lazarus penned her iconic poem and nine years before the Chinese Exclusion Act, the first significant legislation limiting immigration to the United States. 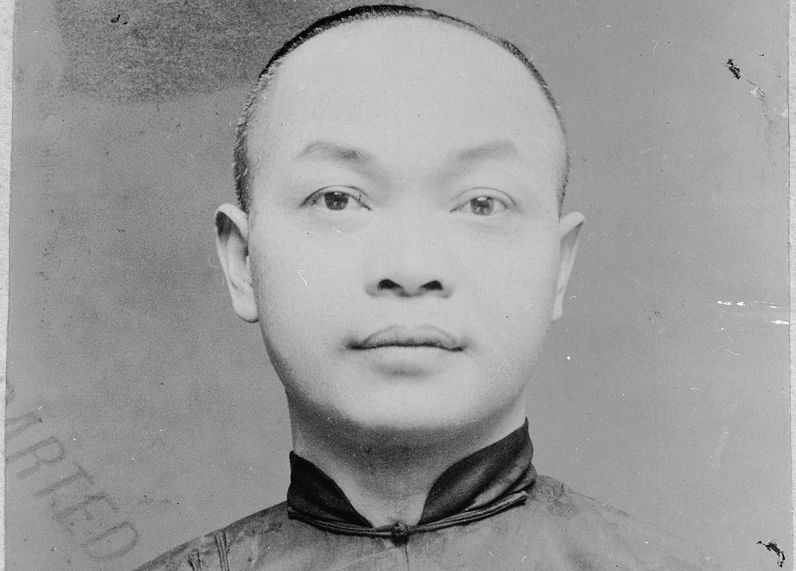 Upon his return from a trip to China Wong was denied re-entry to his home country in 1895. Wong was detained for several months in the harbor just outside of his home town. In the wake of the exclusion act and the anti-immigrant sentiment that fueled it, immigration restrictionists wanted to keep Wong Kim Ark and other’s like him out. However, just like so many other heroes of civil rights throughout U.S. history, Wong fought back. In fact, Wong Kim Ark’s case eventually made it to the U.S. Supreme Court where he won the right to claim his rights as a citizen. Moreover, Wong’s victory set a precedent guaranteeing birthright citizenship for everyone born in the United States. In my opinion, his story is foundational to our national story. His victory and his name should be remembered and taught alongside other significant victories for civil rights including the stories of Rosa Parks, Susan B. Anthony, and so many others whose efforts have expanded our collective understanding of democracy. Wong Kim Ark’s struggle for legal recognition is actually fundamental civic knowledge but it hasn’t been treated that way. If your students knew what the migration scholars and educators I spoke to last fall did not, national debates about migration might be more civil, and they would definitely be more informed. At Re-imagining Migration we recognize that Wong Kim Ark’s story is just one episode in the broader history of migration to and within the United States. If we taught these histories well, would all better prepared to sustain inclusive and welcoming communities. Linked to this blog is my gift to each of you. I’ve linked to a downloadable poster Re-imagining Migration make commemorating Wong Kim Ark’s story. Here is an additional link, with background on Wong and excerpts from the 1898 supreme court decision in the case of the United States v. Wong Kim Ark. Additionally, I have linked to the Re-imagining Migration learning arc, which outlines a sequence of questions and themes which can be used to inform curriculum design. This blog has been reposted from Re-Imagining Migration's website. View the original post here. Re-imagining Migration’s mission is to ensure that all young people grow up understanding migration as a fundamental characteristic of the human condition, in order to develop the knowledge, empathy and mindsets that sustain inclusive and welcoming communities. We live in an era of mass migration. Young people – whether they are part of an arriving or receiving culture – strive to form their identities as learners, community members and change-makers in the context of this global phenomenon. At Re-Imagining Migration, we are catalyzing a community of educational leaders and social organizations around making migration a part of their curriculum and culture so that all students can feel supported in their social, emotional, academic, and civic growth. Join us in this important work.